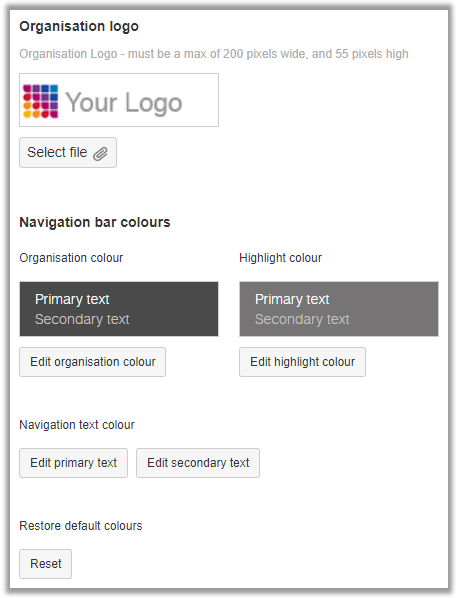 To customise your account's colours and branding navigate to Settings>Branding. Add your company logo and change the account colours to brand the account to your own look and feel. Personalise your dashboard banner with your own image, messaging and quick links that make it easy to access common items or other regularly used online platforms. Users quickly identify with Glasscubes as their go-to hub for all information and services. Your account’s URL is unique and chosen by you e.g. https://digitalmessage.glasscubes.com. We also offer the option of a custom URL providing a seamless link to your organisation e.g. 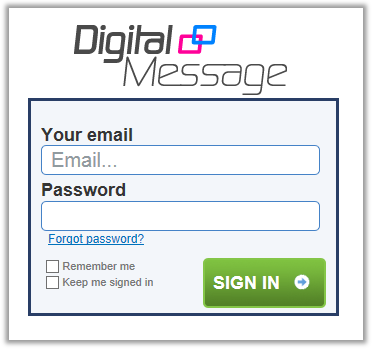 https://login.digitalmessage.com. Please contact our Customer Services Team for further details. Add your logo to the sign in page. Personalise invitations to new users. Apply your information to the signature of all notification messages. 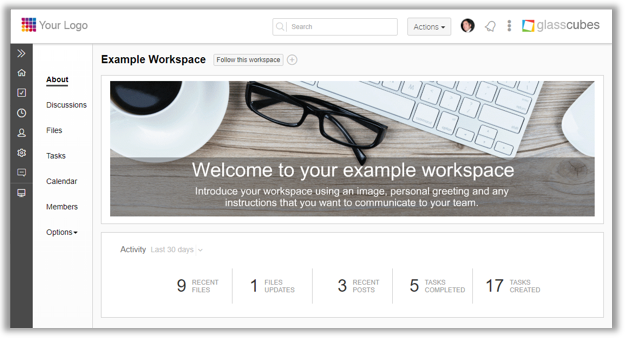 You can add a customised welcome header to individual workspaces. It’s a great way to give your workspace a distinct look and feel, and perfect if you want to brand extranet portals for clients or partners. Click here for further instructions. Our Enterprise Edition can be totally white labelled, which removes all references to Glasscubes. It creates added value by promoting Glasscubes as an extension of your organisation's own technology.